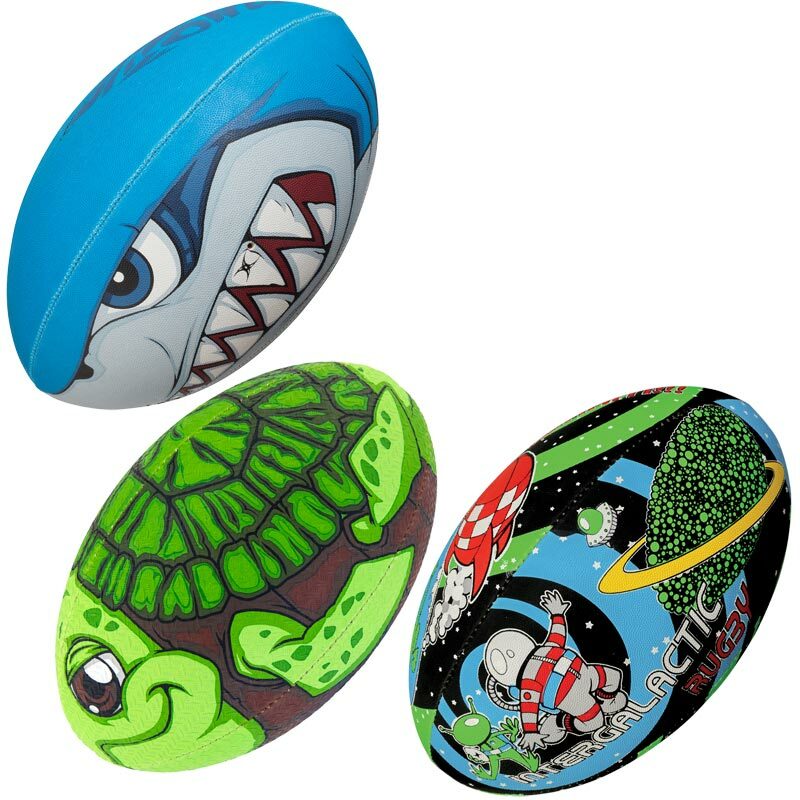 The Gilbert ® Random Training Rugby Ball is a fun ball ideal for beach, garden or park. Our rugby club uses these balls as awards at the end of each training session for our minis - the kids write their name on it and whoever gets their name on it the most this season, will ge to keep it. The shark is 'sick'! Too scared to catch it but happy to kick it !! The ball is sound and fit for purpose , the delivery etc. was bang on . These balls brought a lot of fun into the training sessions, the kids were arguing as to which ball they wanted to play with. Love them can't wait to order more. Great service variety and the cost isnt outrageous. Gilbert ransoms are unique and perfect to collect and use at special rugby occasions.